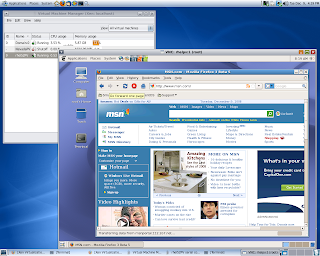 My primary target was testing xVM performance at opensolaris 2008.11(based on 101b Nevada build). 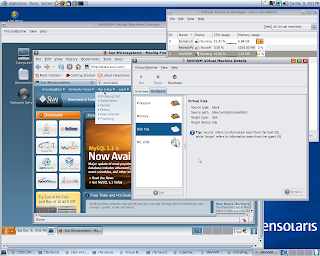 Solaris Nevada works smoothly with images located on UFS and zvols.Opensolaris 2008.11 requires only zvols as image devices for Xen Guests to be installed in reasonable time.I believe it's a known issue caused by ZFS. From my standpoint the most impressive UI feature is Package Manager. It's really helpful. 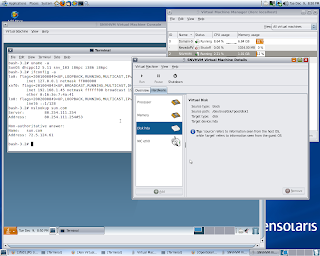 and create second (third) partition with type "Other OS ".